We are finally back with a review of a pair of headphones. Since our last one it’s been almost 12 months but now we really have something special for you. AIAIAI, a company from Denmark, who is famous for their great design and their very well sounding headphones sent us a pair of the TMA-1 headphones which are especially for djs. 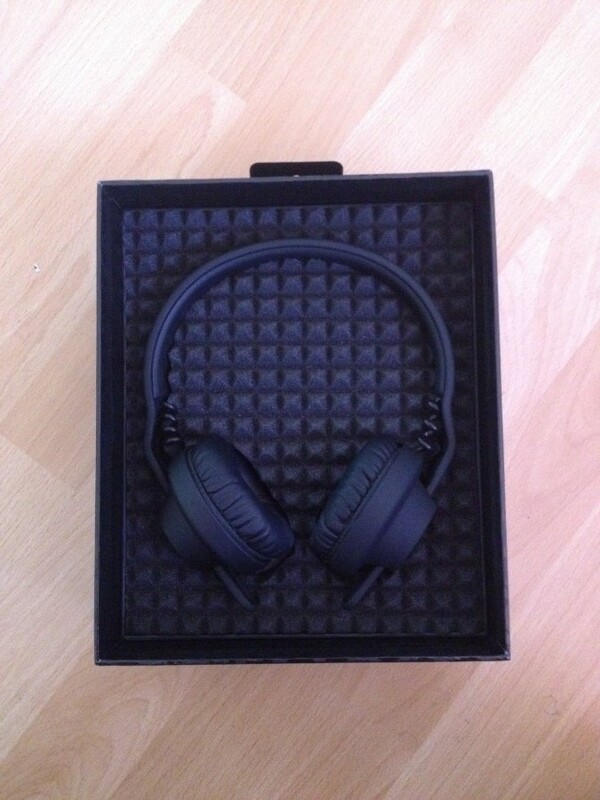 There are plenty of headphones on the market, everyone wants to be perfect for their price segment, but when it comes to the packaging most companies aren’t creating something special which you would like to open after the first view. 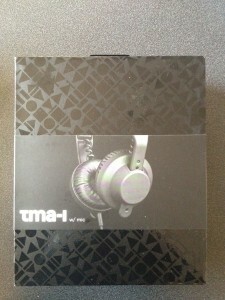 AIAIAI is different and the packaging the TMA-1 is just eye candy. Of course packaging isn’t a main feature of headphones and not that necessary as long as the sound is clear and it has a good sensitivity. The first thing you can see after opening the box is the TMA-1 nestled in accoustic foam known from the walls of studios. This is clever and well working idea as it makes you feel welcome and understood when you see it. Behind the piece of foam you can find two bags. One includes two different cables – one for deejaying incl. a 1/4″ adapter and one with a microphone and a remote to skip through your tracks – and one including a pair of synthetic ear pads. In addition to this the headphones come with a grey carrying pouch and a user manual in 8 different languages. It is no secret that over-ear headphones have become pretty trendy in last couple of months and mostly every company is trying to deliver colorful ones with big logos which can easily be spotted from miles away. 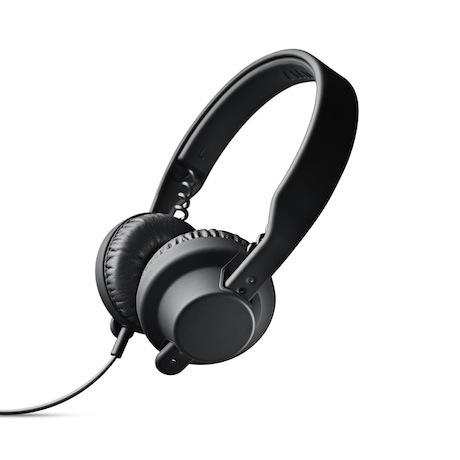 AIAIAI shows that a classy design in a matte black can stand for its own and that a big branding is not needed but if you look properly you will find the logo on the cables and on the headband. Besides the design aspect the quality of the TMA-1 is very high standard and absolutely steeled to be used everyday. We tested the AIAIAI TMA-1 with seperal devices, mostly on an iPhone and a Native Instruments Kontrol S2. A comparisation we used the Sennheiser HD 25 1-II, our favourite before the test. During the first hours we first realized that the sound is very clear and sounds very true. We checked different types of music genres and in conclusion we honestly have to say that the first impression of the package can be projected onto the whole product. The bass is something we really have to focus on. While some headphones seem to be to bassy or to neutral the TMA-1 knows to surprise you with each track you are listening to. It definitely has a heavier bass than the Sennheiser but the response is really like you expect it. The midrange is smoothly reproduced and sounds very realistic. It’s amazing to hear single elements sounding totally different to what normal speakers blow out into your room. The high frequency sound also seems very proper and to nail it down in one word it is absolutely brillant. As most headphones have rotatable ear-cups, the TMA-1 do not come with this feature but AIAIAI found an excellent way to built malleable headphones which give you the opportunity to bend them like you need it making it easy to suit them on one ear while listening to the monitors with the other ear. We’ve done that plenty of times and it does not affect the original shape. 6.3 mm stereo plug converter. The Danish brand AIAIAI delivers with the TMA-1 a perfect planned, designed and sounding product which knows to mesmerize without having a shiny and stereotype branding on it. They are of course perfect for deejaying maybe that’s why a lot of known djs are using them, e.g. Thomas Gold or A-Trak. We also prefer them for mixing now and we would not write this if we were not convinced with the TMA-1. For those who are looking for some new studio headphones, the TMA-1 will be available as a studio version pretty soon.